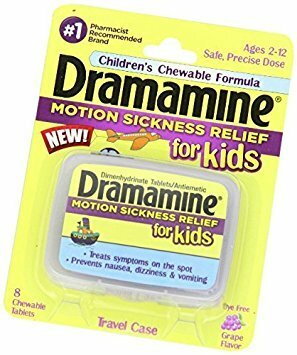 Dramamine motion sickness tablets for the prevention and treatment of the nausea. It is prevent motion sickness, the first dose should be taken one half to one hour before starting activity. It's for the prevention and treatment of the nausea, vomiting or dizziness with motion sickness. If you have any questions about this product by Medtech Products Inc., contact us by completing and submitting the form below. If you are looking for a specif part number, please include it with your message.